Many people believe it is hard to learn to read music. It isn't! In fact, reading music is a little like learning to read another language, but much easier than most languages to learn!. In fact, if you are reading this - you can learn how to read music with just a little effort. 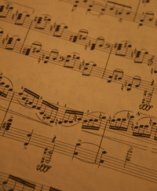 This page is for those who wish to learn how to read music from scratch. 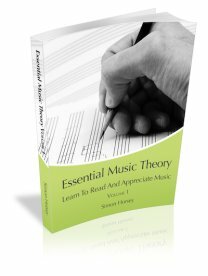 Click here if you have some previous knowledge of how to read music to check your options or select from the nav bar on the left to learn about a particular aspect of music theory. If you are learning to play an instrument such as the piano, guitar, violin, clarinet etc. you should learn to read music as you learn your instrument. When you learn new notes make sure you can read them on the music staff. Never write letter names under notes at this stage - this will do more harm than good and will not help in the long run. If you are learning to read music but don't play an instrument I suggest using the piano keyboard layout as you learn the notes. A small keyboard such as the Yamaha PSR E-223 is only $99 and ideal for helping understand theory if you don't already play the keyboard. There are also several USB keyboards available which connect directly to your computer and if you have a Mac running OSX and GarageBand you can make use of some of the excellent lessons contained in the GarageBand software. USB Keyboards I recommend are the M-Audio Oxygen 49 to many school music departments as it has full sized keys, good, basic functions and is easy to set up on both Mac and PC. If desktop space is an issue you might want to look at the M-Audio Oxygen 8. This has 2 octaves of mini keys and good controller functions. I have one of these that I pop into my case when I am travelling. Along with my MacBook it gives me the perfect solution for noting ideas down when I am travelling! Click here for more information on learning the notes on the piano keyboard. I also advise learning the basics of the piano keyboard, even if you play another instrument such as guitar, flute, violin etc. Having a working knowledge of the piano keyboard makes learning music theory and composition so much easier! E - G - B - D - F - A - CIt is as simple as that. Memorize the sequence of letters. You may wish to use a mnemonic such as Every Good Boy Deserves Fun And Chocolatebut you will find it faster in the long run if you just memorize the letters in that order. When you are sure you have committed the letters to memory Click here to take a short (you only have 90 seconds!) quiz on the order of the letters. Type in the letter name to answer the first 10 questions. To answer questions 11 - 15 click the 'True' or 'False' buttons. Good Luck! If you had more than one or two incorrect please spend some extra time memorizing the letter order. It will save you hours later on. There are many ways of writing music including graphic score, grid systems, tablature (or tab) and chord charts. When you learn to read music the first system you usually learn is staff notation. (Guitarists often learn tab first - but I always advise learning staff notation first as it doesn't have the flaws that tab has). A staff (also called a stave) is the series of lines and spaces music is written down on. Click here to find out more about the music staff once you have mastered the order of letters above.